Meet nine designers from southern Sweden’s Skåne region in the exhibition “What’s your DNA?” curated by designer Kajsa Willner. In October, the exhibition was shown at Dutch Design Week and on November 24th it will arrive in Malmö. The exhibition in Eindhoven was organised by Form/Design Center within the framework of the Southern Sweden Creatives export project. - What’s your DNA is a contemporary portrait of the growing local design scene in southern Sweden. The exhibition presents the height and breadth that the region possesses in the design field’s various disciplines, such as fashion, furniture design, conceptual design, industrial design, crafts, glass art etc., says Kajsa Willner, curator. The group of designers as a whole is a mix of different disciplines within design; fashion designers, industrial designers, artists and creators. To show a variety of work when it comes to different input, profiles, perspective, techniques, materials, genres and taste. All of which are presented under a joint venture that values the particularity of each work. - The selection comprises some of today’s leading designers in southern Sweden. Their common denominators, in addition to great talent, are the strength to forge their own path and a stubborn conviction that everything is possible. Together they form a greater shared identity for the region – the southern Swedish design DNA of Skåne, says Kajsa Willner. This exhibition highlights the mix and rewards the different. 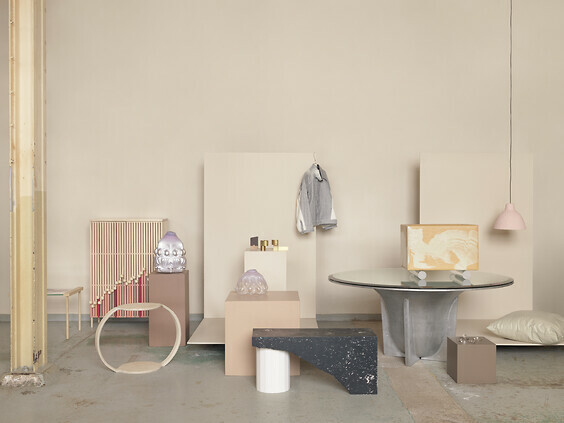 And brings forward a group made up by diverse personalities and genres forming a larger regional identity - the southern Swedish design DNA of Skåne. These people create their own possibilities by being bold, single-minded and true to themselves with an underdog perspective and a strong conviction that everything is possible. - Evaluating the designers’ varied forms of expression and profiles in terms of their genre, taste, material usage and approach creates a dynamic in the exhibition, in which each work is showcased individually whilst also contributing to a clearly multifaceted whole, the curator says. The exhibition is sponsored by Southern Sweden Creatives; a 3-year project supporting design companies in southern Sweden in increasing their international presence through professional business development and international exposure. The project is carried out by 9 partners including Malmö Stad, Form/Design Center and Lunds Kommun/The Creative Plot.